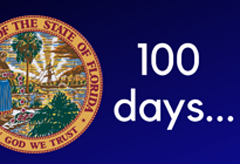 During Attorney General Moody’s first 100 days in office, the new administration took swift action to combat the national opioid crisis, consumer fraud, human trafficking and to support Florida’s law enforcement community. Attorney General Ashley Moody chairs Florida’s Statewide Task Force on Opioid Drug Abuse. 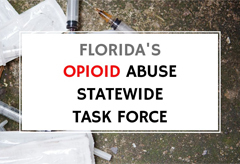 In April, Governor Ron DeSantis appointed Attorney General Moody Chair of the task force to help bolster the state’s efforts in the fight against the opioid crisis. 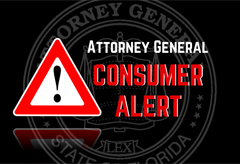 Attorney General Ashley Moody is issuing a Consumer Alert about vacation rental scams. These scams involve the use of fake online ads posted to deceive consumers into paying hefty upfront rental deposits. 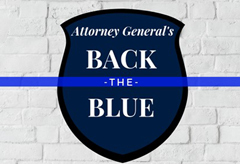 Attorney General Ashley Moody’s Back the Blue Campaign awards law enforcement officers, citizens and organizations going above and beyond to support law enforcement. 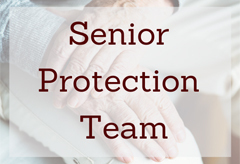 Attorney General Ashley Moody’s Senior Protection Team is an intra-agency group of attorneys and investigators dedicated to stopping senior fraud and abuse. 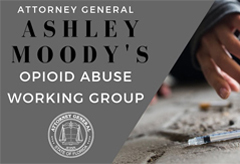 Attorney General Ashley Moody’s Opioid Abuse Working Group was created to gather information and best practices from across the state to combat the opioid epidemic. The Group consists of 18 experts and community leaders.